Calling all parents and guardians; local (and national!) employers and trainers/trainees; colleges, Universities and students; and of course, Trinity High School alumni! 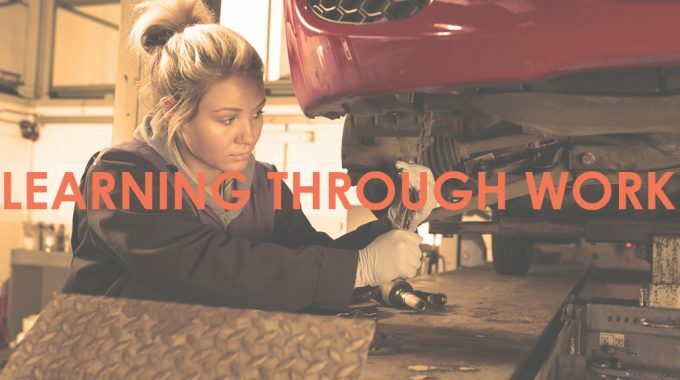 As part of our commitment to developing the young workforce and providing our young people an insight into the world of future career pathways available to them, this coming February the school will once again hold ‘Learning Through Work Week’. This exciting event is planned to take place between Monday 19th to Friday 23rd February 2018. To enable us to provide as full and meaningful set of experiences as possible, we’re looking for volunteers to visit the school and take part in classes, discuss their workplace and roles, give career pointers, provide demonstrations, give advice about the application process, learn through your positive and/or negative experiences. . . In short, to provide whatever you feel you can offer our young people to help them decide on their future careers. Should you wish to take part, then first of all a great big THANK YOU! Please use the contact form below, or telephone the school (0141 886 6121) and we will take things from there. We are also looking at providing work experience placements of all shapes and sizes (be this a few hours one afternoon a week to weekend placements to offering extended placement lasting several weeks) for young people from S3 to S6 considering a future in your employment area. Again, if you feel you can offer a young person such experience, please contact us. Our Supported Study timetable for National 4 to Advanced Higher students has now been finalised. Read on to find out how to download it. previous post: Welcome to our Freshers! next post: STEM Opportunity for Girls!